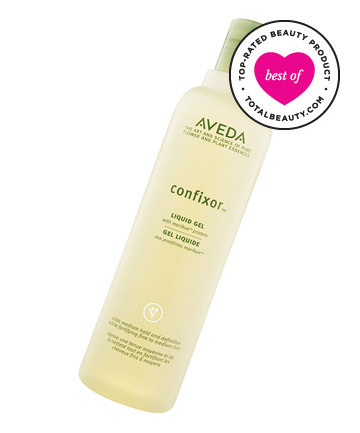 Why it's great: Readers love the "amazing smell, smooth look and strong hold" of Aveda's Confixor Liquid Gel. "A professional stylist used the product on my hair after a blowout, and two days later, I was still getting compliments about the appealing scent of my hair," boasts one reader. "A little goes a long way, so the entire bottle takes forever to finish." Users say the gel holds your stylish 'do all day and adds volume to limp locks. "I first purchased the Aveda Confixor liquid gel after my hair stylist used it on my hair one time, and the smooth, straight style held out in the 95 percent humidity of a July wedding," one reviewer shares. "I was so amazed at how my naturally wavy/curly hair looked, that I went back to my salon and bought it. It is, without a doubt, a complete miracle product." Agree? Disagree? Write your review for Aveda Confixor Liquid Gel here. This is a TREMENDOUS assortment of products, all at affordable prices. I'm not an expert at using these, so maybe I'll buy some and keep working at it. I want to try Small Talk. I hate pretty much the entire Herbal Essences curly line. It just makes my dry hair even drier. That Biolage gelee works really well. I prefer mousse but will occasionally use gel depending on the look I'm going for. Curly hair girls use all types of gels. I try use products without silicones and sulfates. That is what this article is missing. Actually I think that is what needs to be added to all of the products "an ingredients list". For all the products I have to do a search online for the ingredients which is time consuming. Since I started avoiding products with these ingredients my hair has transformed to more manageable and healthier. I think the hair that would benefit the most from a hair gel, is a short spikey cut or maybe even a pixie. I have shoulder length fine and thin hair and gel doesn't give me the soft, touchable feel compared to say - mousse. I admit, I do use a spray gel, but only at the roots to give my hair more volume. I've tried a gel recently, I think it's called SAMY curling gel. It's supposed to give you "great curls". Only it doesn't. It didn't do anything for my hair. I have a natural wave so I can wear it curly or straight. But even for the curls, I prefer to use a mousse for body and hold. Don't really use hair gels, but this article was still helpful!